Digital access. Print on your own printer. It is suggested you print on cardstock and place into a 3-ring binder with page protectors. 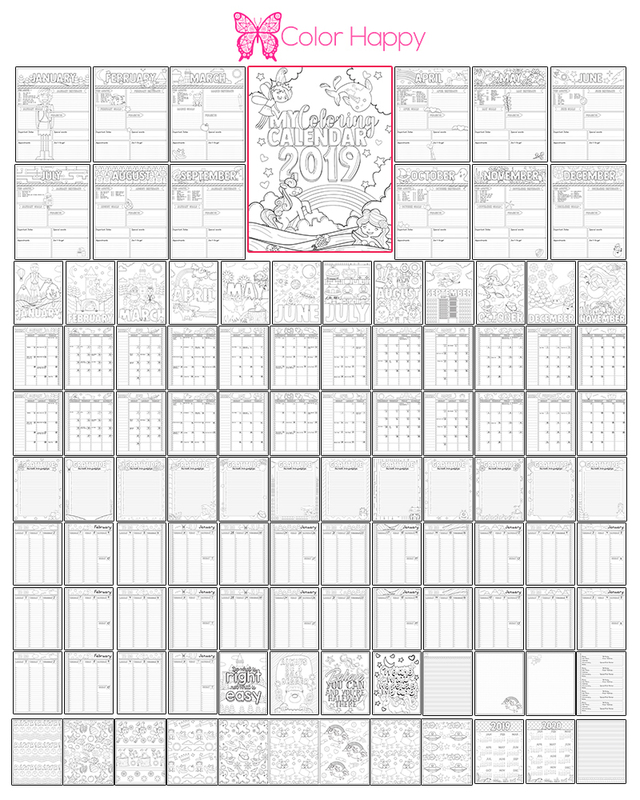 This is the planner you’re going to want for 2019! It contains everything you need to get your coloring groove on for the coming year. 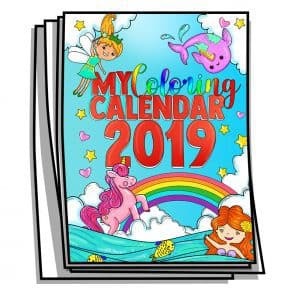 Each page has colorable elements, and each month contains a full sized coloring page, a monthly planner, a daily/weekly planner, gratitude, and planning. It’s all themed for exploring the imagination and fantasy with rainbow and unicorns, fairy tale creatures, robots, and more.